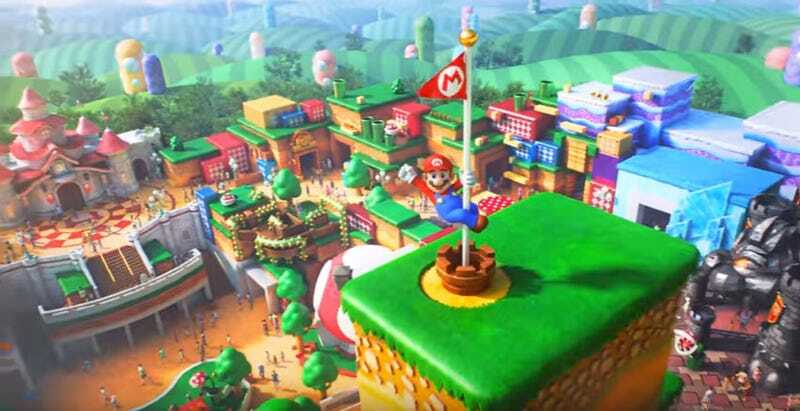 The big Nintendo section of Universal Studios Japan is still years away from being finished, but the park is already hyping up the attraction. Here’s a trailer giving hints at what we can expect when it opens in 2020. Explains why that stage was being built yesterday. If you look at the big reveal of the park at the end, you’ll see the overall design of the place matches the art released in December, suggesting that hey, it may actually look like this (or at least follow the general floorplan) when it’s done.